Every year the Library of Congress selects 25 movies to be added to the National Film Registry. Here are this year's selections! One of the earliest film recordings and the oldest surviving copyrighted motion picture, Edison Kinetoscopic Record of a Sneeze (Jan. 7, 1894) is commonly known as “Fred Ott’s Sneeze” or simply “The Sneeze.” W. K. L. Dickson, who led Thomas Edison’s team of inventors, took the images of fellow engineer Ott enacting a snuff-induced sneeze. In March 1894, Harper’s Weekly magazine, which requested the pictures, published a sequence of still images taken from the film. “The Sneeze” became synonymous with the invention of movies although it was not seen as a moving picture until 1953 when 45 frames were re-animated on 16 mm film. The full 81 frames published in Harper’s Weekly were never seen as a movie until 2013 when the Library of Congress made a 35 mm film version. In this new complete version, Fred Ott sneezes twice. Based on noted illustrator Winsor McCay’s popular comic strip that ran in the New York Evening Telegram from 1904 to 1914, this short fantasy comedy by film pioneer Edwin S. Porter employed groundbreaking trick photography, including some of the earliest uses of double exposure in American cinema. Porter used camera sleight-of-hand to create the hallucinatory dreams of a top-hatted swell (Jack Brawn) who, after gorging himself on Welsh rarebit, is beset by dancing, spinning furniture and mischievous imps. To create the dream effects, he used a spinning camera and moveable set pieces, along with multiple exposures. Stop-motion and matte paintings added to the film’s whimsical appeal. Porter, who joined Thomas Edison’s company in 1899 and advanced the special effects pioneered by Georges Méliès, completed the seven-minute film in nine days at a cost of $350, which is about $10,000 today. The Museum of Modern Art Department of Film has preserved the film. The phenomenal success of “A Fool There Was”—based on a Rudyard Kipling poem and a subsequent play—set off a publicity campaign unparalleled at the time centering on its star, an unknown actress bearing the exotic name of Theda Bara. Bara was promoted as “the woman with the most beautifully wicked face in the world” and became filmdom’s quintessential “vamp,” enticing male pillars of society to relinquish family, career, respectable society, and even life itself, while yearning to remain under her entrancing spell. With such ego-shattering commands as “Kiss me, my fool,” Bara’s destructive powers appealed to women as well as men. “Women are my greatest fans,” Bara stated, “because they see in my vampire the impersonal vengeance of all their unavenged wrongs.” Bara retired from the screen four years later after starring in some 40 films, establishing a new genre, and helping Fox studios become an industry leader. Only one other film from her heyday is known to exist as well as two she made during an attempted comeback in the mid-1920s. The film has been preserved by Museum of Modern Art Department of Film. Based on a story by Fannie Hurst, “Humoresque” presented to mainstream American audiences a sympathetic portrayal of immigrant Jewish life through its vivid details of street life and rituals, and a riveting performance by Yiddish Theatre actress Vera Gordon, “seemingly a character from life, living,” rather than acting, as a New York Times reviewer observed. Although it was not the first film to dramatize the acculturation experiences of recent Jewish refugees from Russian massacres, “Humoresque” became a great screen success, inspiring Hollywood to produce many other films set in the Lower East Side’s tenements during the ensuing decade. 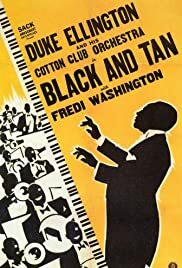 In one of the first short musical films to showcase African-American jazz musicians, Duke Ellington portrays a struggling musician whose dancer wife (Fredi Washington in her film debut) secures him a gig for his orchestra at the famous Cotton Club where she’s been hired to perform, at a risk to her health. Directed by Dudley Murphy, who earned his reputation with “Ballet mécanique,” which is considered a masterpiece of early experimental filmmaking, the film reflects the cultural, social and artistic explosion of the 1920s that became known as the Harlem Renaissance. Before the advent of sound, the only significant difference between films seen by domestic audiences and foreign ones was the language of the subtitles, which could be adapted for each market. When talkies arrived, American studios began shooting foreign-language versions for international and non-English-speaking domestic markets, generally at the same time they filmed the English versions. In one of the most famous examples of this practice, a second crew—including a different director and stars—shot at night on the same sets used during the day for the English version of the Bram Stoker classic starring Bela Lugosi and directed by Tod Browning. In recent years, the Spanish version of the film, which is 20 minutes longer, has been lauded as superior in many ways to the English one, some theorizing that the Spanish-language crew had the advantage of watching the English dailies and improving on camera angles and making more effective use of lighting. Directed by George Melford (best known for the Valentino sensation “The Sheik”), the Spanish version starred Carlos Villarías (billed as Carlos Villar) as Conde Drácula, Lupita Tovar as Eva Seward, Barry Norton as Juan Harker and Pablo Alvarez Rubio as Renfield. During the heart of the Great Depression, as the nation’s capital experimented with New Deal programs to solve the nation’s ills, most Hollywood productions remained escapist. A radical exception to the rule, King Vidor’s “Our Daily Bread,” faced the problem of unemployment head-on by dramatizing an experiment in cooperative farming that proposed pooling resources collectively as an alternative to individualistic competition for jobs. After all the studios passed on his idea, Vidor financed the film himself with borrowed funds. Criticized for its purportedly socialist ideas and also for its seemingly fascistic traits, “Our Daily Bread” remains a document that embodied political contradictions that marked widely divergent contemporary assessments of the New Deal itself. In its widely acclaimed climactic ditch-digging sequence, the film presents images celebrated muscular working-class manhood that also marked public art of the period, which addressed anxieties about the masculinity during times of economic crisis. This cartoon, produced by the Walt Disney Company as one of its Silly Symphony entries, depicts a community of animals—mice, doves, bats, bluebirds and an expressive owl—battling a severe thunderstorm that nearly destroys their home in an abandoned windmill. Directed by Wilfred Jackson, the film acted as a testing ground for audience interest in longer form animation as well as for advanced technologies, including the first use of the multiplane camera, which added three-dimensional depth. It also featured more complex lighting and realistic depictions of animal behavior that would be perfected in “Snow White,” “Fantasia” and “Bambi.” The dazzling imagery was complemented by Leigh Harline’s compelling orchestral scoring inspired by a Strauss operetta. Akin to other such rugged folk heroes as Paul Bunyan, John Henry is said to have worked as a “steel-driving man,” hammering a steel drill into rock and earth to build tunnels and lay track. According to legend, his prowess was measured in a competition against a steam-powered hammer. John Henry won the race against “Inky-Poo,” only to collapse and die, hammer in hand. Stop-motion animation pioneer George Pal created this short film after the NAACP and Ebony magazine criticized his offensively stereotyped Jasper series of cartoons. The magazine later praised “John Henry” as the first Hollywood film to feature African-American folklore in a positive light and to treat its characters with “dignity, imagination, poetry, and love.” Highly popular during its time, the film was nominated for an Academy Award. It has been preserved by the UCLA Film & Television Archive. Two staples of 1960s cinema—evil organizations and the wasteland of suburbia—combine to drive this sinister tale about the perils of seeking a second chance, a life do-over. Bored with his banal marriage and unexciting daily grind, banker John Randolph meets the representative for a mysterious company offering the “too-good-to-be-true” opportunity to erase his current Scarsdale existence for a makeover in the guise of Malibu painter Rock Hudson. Headed by grandfatherly scion Will Geer and master-of-the-hard-sell executive Jeff Corey, “The Company” takes care of everything surrounding Randolph (in his new Hudsonesque persona) with business reps and human “seconds,” in order to smooth his transition to a new life and keep him from spilling the lucrative-but-dark corporate secret. His new identify seems idyllic, but Randolph chafes with unease and demands a return to his now fondly remembered past average life. In one of the first LGBT films widely accepted by general audiences, Shirley Clarke explored the blurred lines between fact and fiction, allowing her subject, Jason Holliday (né Aaron Payne), a gay hustler and nightclub entertainer, to talk about his life with candor, pathos and humor in one 12-hour shoot. Clarke originally envisioned Jason as the only character, but she subsequently revealed: “When I saw the rushes I knew the real story of what happened that night in my living room had to include all of us [the off-screen voices. her crew and herself], and so our question-reaction probes, our irritations and angers, as well as our laughter remain part of the film.” Bosley Crowther of “The New York Times” described it as a “curious and fascinating example of cinéma vérité, all the ramifications of which cannot be immediately known.” Legendary filmmaker Ingmar Bergman called it “the most extraordinary film I’ve seen in my life.” Thought to have been lost, a 16 mm print of the film was discovered at the Wisconsin Center for Film and Theater Research in 2013 and has since been restored by the Academy Film Archive, Milestone Films and Modern Videofilm. This empathic and often poetic medical-training film features a powerful performance by co-director Naomi Feil as a nurse who learns to cope with aphasia, the inability to speak as a result of a brain injury. Feil, a social worker whose career has focused on communicating with language-impaired patients, produced this film and dozens more with her husband Edward Feil. In the film, the patient’s inner thoughts are heard through voice-over as she struggles in frustration to overcome her disability and to connect with her caregivers. The Council on International Non-theatrical Events (CINE) awarded “Inner World” its top honor, the Golden Eagle. More than 47 years later, the film is still being screened by media artists and independent filmmakers who appreciate its innovative artistic qualities. Created over the course of a decade by Thom Andersen, a onetime UCLA film student, this documentary delves into the work of the man whose pioneering studies and concept of persistence of vision led to the development of motion pictures. The film looks at Eadweard Muybridge’s personal and professional struggles, and examines the philosophical implications of his sequential photographs, or zoopraxographs, as he called his studies of animal locomotion. Andersen re-animates the images Muybridge originally presented on a zoopraxoscope, a predecessor of the projector. The documentary features cinematography by Morgan Fisher, a script by Fay Andersen, music by Mike Cohen, biographical research by Robert Bartlett Haas and narration by Dean Stockwell. Chance, a simple-minded gardener (Peter Sellers) whose only contact with the outside world is through television, becomes the toast of the town following a series of misunderstandings. Forced outside his protected environment by the death of his wealthy boss, Chance subsumes his late employer’s persona, including the man’s cultured walk, talk and even his expensive clothes, and is mistaken as “Chauncey Gardner,” whose simple adages are interpreted as profound insights. He becomes the confidant of a dying billionaire industrialist (Melvyn Douglas, in an Academy Award-winning performance) who happens to be a close adviser to the U.S. president (Jack Warden). Chance’s gardening advice is interpreted as metaphors for political policy and life in general. One of the most popular, quotable films from the past three decades and a touchstone of cultural reference, “Ghostbusters” can also easily be seen as a loving homage to those earlier wacky horror comedies from Abbott and Costello, Bob Hope and others. Three lapsed science academics (Bill Murray, Dan Aykroyd and Harold Ramis) set up shop to handle the underappreciated (and never-ending) task of ferreting out ghosts, and will not rest until the paranormal becomes New York normal once more. Leading this Gotham firm in the fight against ever-present slime, is sleazy, yet charming, Bill Murray who brings a breezy air of can-do insouciance to the job of dealing with a rogues gallery of malevolence, including puffed-up existential threats such as the Marshmallow Man. Murray takes regular time outs from spirit-chasing to romance brainy cellist Dana Barrett (Sigourney Weaver), who becomes a channeler of the demon Zuul. The infectious insanity of “Ghostbusters” makes it a favorite film of the ‘80s. Banker Tim Robbins is wrongly convicted of the double murder of his wife and her lover. However, he spends much of his prison sentence beset by guilt over whether he contributed to her infidelity and consumed by the knowledge that he had seriously contemplated murdering her. Eventually, Robbins decides he must “get busy living or get busy dying” and plots a meticulous, long-term plan for escape. Critics have struggled at times to explain the immense public affection for “Shawshank,” but perhaps it’s due to the poignant Thomas Newman score and most importantly the moving character portrayals and deep friendship between inmates Robbins and Morgan Freeman, highlighting the abiding resilience of the human spirit. This well-crafted and suspenseful story, directed by Curtis Hanson, teams a trio of incompatible cops who ultimately bring down a corrupt police department and political machine. Hanson and Brian Helgeland adapted the James Ellroy novel and together they successfully interpret film noir’s dark and seamy allure for new audiences. Detective Jack Vincennes (Kevin Spacey) an in-it-for-himself type, Officer Bud White (Russell Crowe), who believes in bending the law to enforce it, and Detective Ed Exley (Guy Pearce), a straight arrow whose self-righteousness alienates him from his colleagues, all possess some deep-rooted sense of honor that draws them together to untangle the film’s web of corruption that climaxes in its virtuoso choreographed shootout.